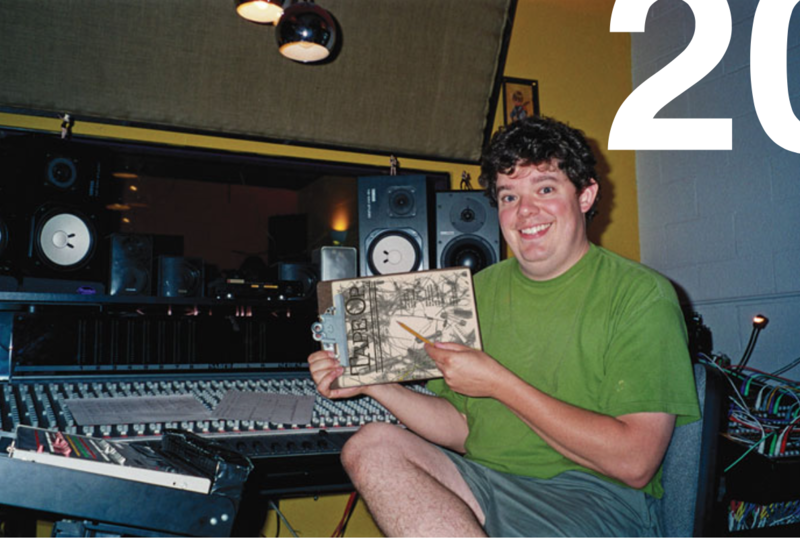 Twenty Years of Learning and Growing | Tape Op Magazine | Longform candid interviews with music producers and audio engineers covering mixing, mastering, recording and music production. Looking back, it seems like I've always been recording something. When I was very young there were a pair of small Sony reel-to-reel recorders floating around our house — previously used by my parents to send audio letters back and forth while my Merchant Marine father was at sea. I soon found myself recording snippets of my favorite TV shows and making silly sounds on these decks. When cassette recorders became the norm, I was constantly making tapes of borrowed LPs to listen to in my room (and later in my car). 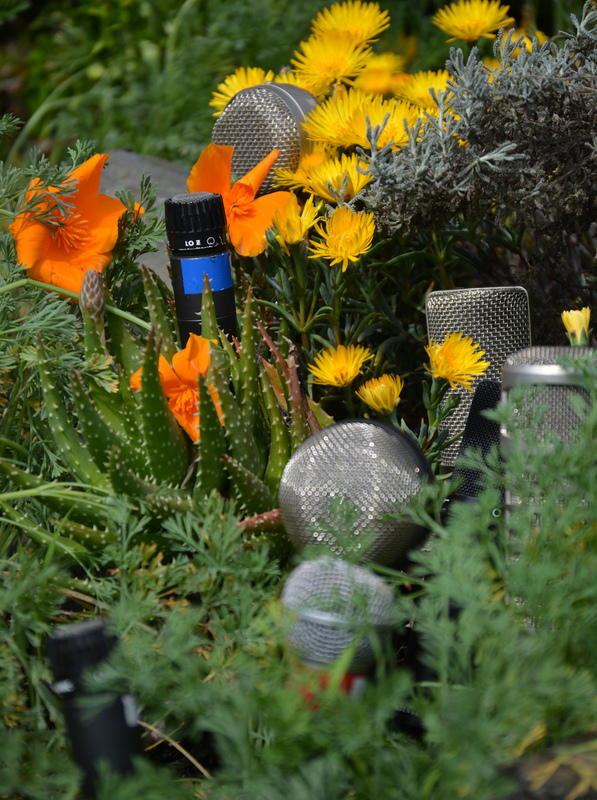 Soon I bought some cheap Radio Shack mics and started recording my friends playing music, plus my own weird electronic compositions. When 4-track cassette recorders came around, I'd already spent many years creating reduction mixes from cassette deck to cassette deck. My family and friends pitched in and bought me a Yamaha 4- track one Christmas, and immediately I was tracking my band's demos and collaborating with friends. I'd already been in the studio a couple of times at that point, guiding our band through sessions for a few self-released albums. I loved spending time in the studio, as the concepts of overdubbing, using effects, and looking for the best takes were already ingrained in me. By the time I left California for Portland in 1993, I was actually trying to get out of the music world. But I soon found myself building a practice room in my basement, and when my pal, Dewey, dropped off a couple of TEAC 4-track, reel-to-reel tape decks his uncle had given him, I added a window into one of the walls. A ramshackle home studio was born. Where small studios were not just glorified hobby rooms, but places where less-commercial music was being captured by people with sympathetic ears. Where musicians recorded themselves because it was part of the creative process, not because they "couldn't afford studios." Where older, used equipment was far more common than brand-new gear. Where the newest technology trends in recording were viewed with suspicion, as we'd been burned already by harsh digital reverbs and unreliable ADAT recorders. This feeling of being an outsider to the world of fancy new gear and high-end recording studios, and being an advocate for creativity over recording equipment, led me to create the magazine you are reading now. I simply wanted to make a magazine that was filled with what I wanted to read. But beyond documenting the world of music recording, an added side benefit for myself was how much I learned about the art, techniques, and business of recording. *Regarding producing Paul Westerberg and The Replacements [Tape Op #19], Jim said, "I had to steal everything I got from him. I had to go ahead and steal it, and that’s the producer’s job." My take? That you need to keep an eye out for what really matters, grab the best parts, and never let an artist hold back or not give their best if you know they have it in them. I never interned at a studio. I never went to a recording school. I barely paid any attention to where the mics were placed when my own band was making records back in the '80s. But my taste in music, plus a discerning ear, guided me and told me my own recordings could be better. Travelling the world and getting to speak with some of the wisest engineers, producers, musicians, gear designers, and studio builders has taught me so much. Every person's career path is different, but all their experiences can help guide us in many ways. At one point, a quote from Jim Dickinson* rolled around in my head for years, until my own growth as a producer informed me as to what he meant, and it was one of the most important revelations of my career. How often do we get to do something creative that keeps challenging us and opening new doors? Tony Visconti once told me, "I love this job, because I'm always learning." Same here, Tony. And I learn from people like you, Jim, and the multitudes of others I will get to meet, talk to, and interview as Tape Op keeps chugging along. I love it, and I love everyone involved.